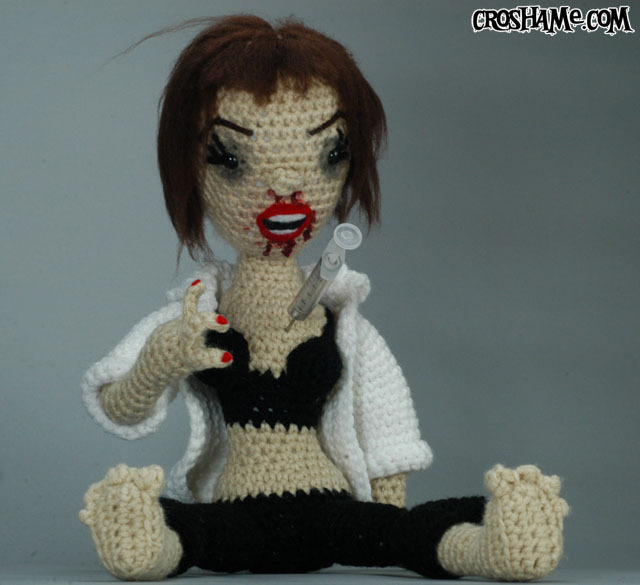 Shove Mink of Croshame was recently commissioned to create Uma Thurman’s Pulp Fiction character, Mia Wallace, as a crocheted art doll (needle and all). The piece is called “A-Mia-gurumi Wallace” (from “Plush Fiction”) and it depicts the scene where she overdoses on heroin and has to be injected with adrenaline. 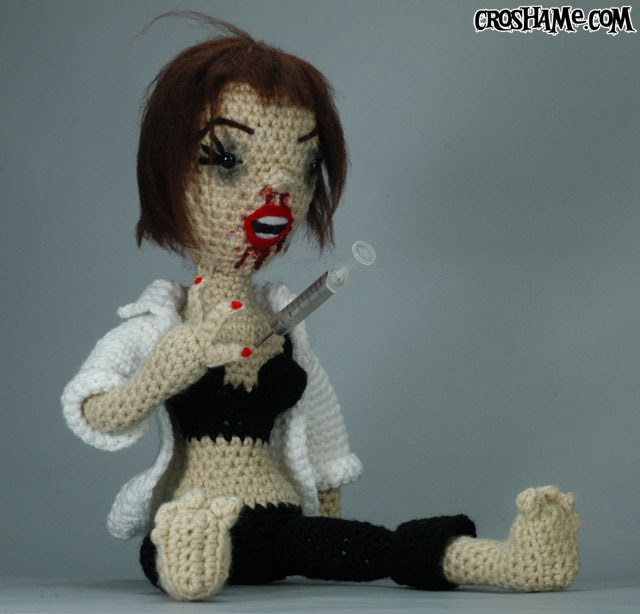 We have previously featured Croshame’s delightful crocheted dolls in the past.